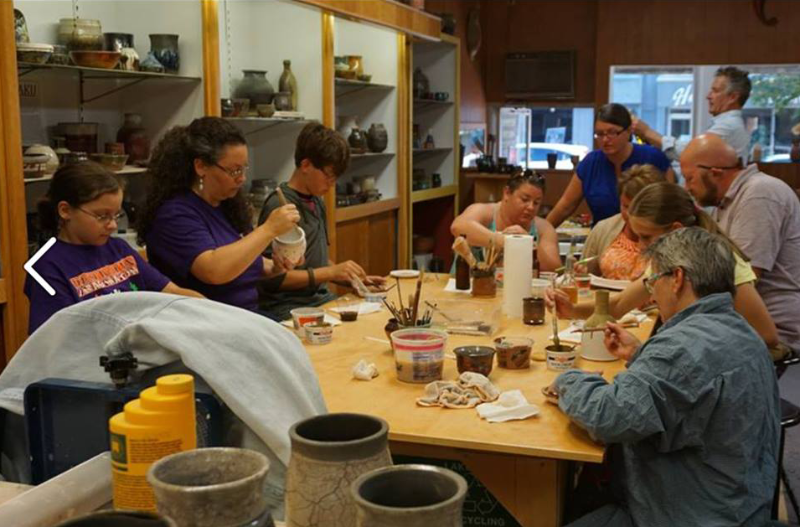 Clay on Steele (COS) is a community art center focusing on promoting the arts- specifically ceramics- by providing instruction and space for personal exploration in clay. The environment at Clay on Steele is very “hands-on”, with 8 potters wheels and all the equipment needed for hand building. The staff is ready, willing and able to teach and foster the creative talents of those in and around the community- as well as tourists coming through Kewaunee County and the Door Peninsula- who have a desire to create. All are invited-… at any skill level- most are surprised at what they can do! Classes are by appointment, call Clay on Steele at (920) 487-3501 for information to plan your class today. View all events in "Clay on Steele"